I had big plans for my first San Diego Comic-Con. I wanted to see everything and buy everything. 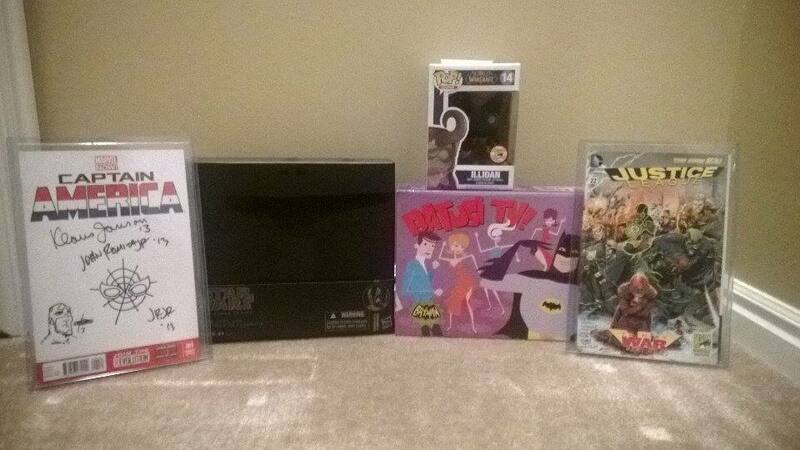 I had a list of exclusives I wanted to buy and I was actually able to get some of the items on my list. Sometimes it feels like how you got an item is more interesting than the item itself. Here are few tips on how to score that rare exclusive. 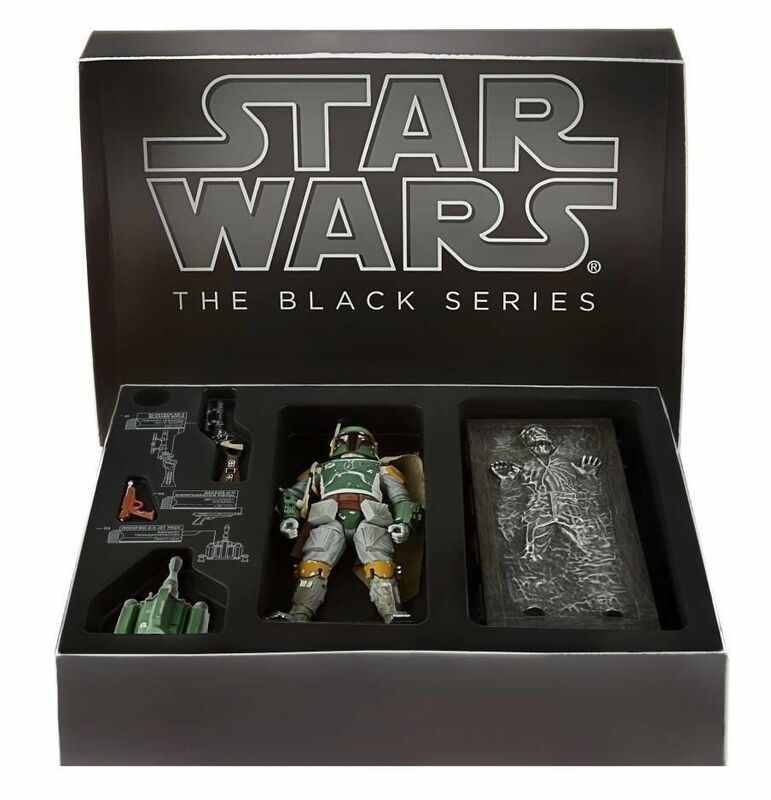 Black Series Boba Fett and Han in Carbonite: I just want to say; sometimes it pays off to have friends. If you have friends who want items from the same vendor the best plan is to have one person get in line early and purchase the items or everyone. Hasbro items are really hard to get. Best way to get them is to get in line early, and I mean early. My friend got in line at around 4 AM and it was still cutting close. I guess it doesn’t matter if it’s close, as long as you’re on the right side of the cut off. 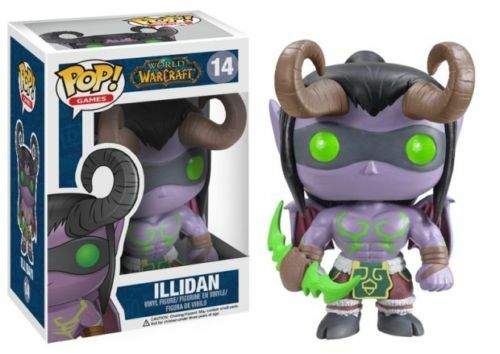 Blizzard Entertainment Collectibles: 2013 was the first year Blizzard entertainment had a booth at the San Diego Comic-Con and they brought with them some fun collectibles. All you needed to do was get in the line, but that is easier said than done. Just like every other popular booth, the line was capped most of the time. The volunteers would only let the lines so long and part of their job was to keep people from standing in isles and stopping the traffic. How do you get in line if you can’t wait for the line to open again? Solution: hang out at the booth across the aisle close to the end of the line. When the line opens again, you just need to take few steps and you have a spot. Signed Comics: Every year, Marvel and DC bring a group of comic book artists and writers to San Diego to sign comics for the fans and promote upcoming series. Just like everywhere else, the lines get long and have to be capped at some point. DC comics hands out wrist bands for the most popular signings first thing in the morning. What if you didn’t get one? Some of the signings have limit of how many items the creators can sign. So what you want to do is walk along the line until you find a person who has fewer items than the cap and bribe them. I gave a kid in line one of the new exclusive comics to have him sign three other books for me. Saved me a lot of time ling up for the wristband and lining up again for the autographs and in the end both of us got our books signed. 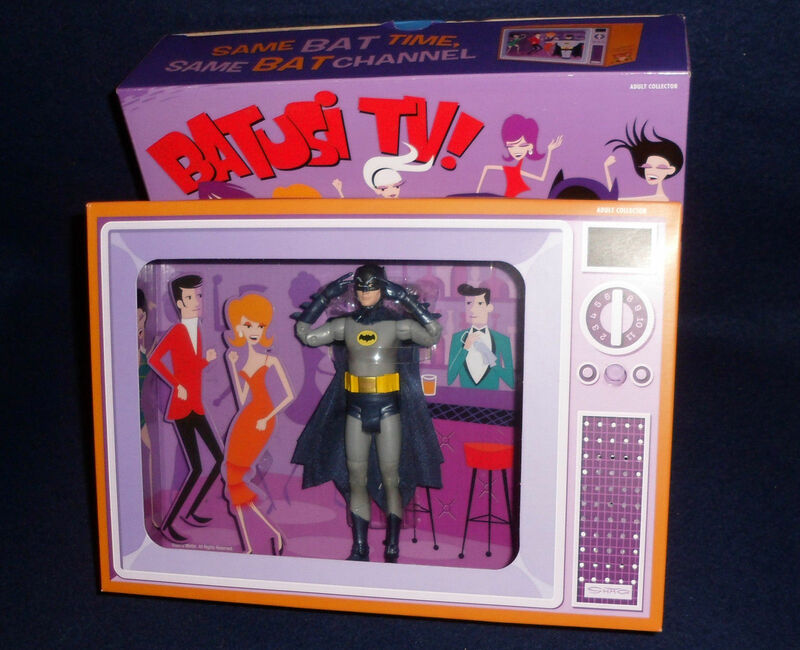 Batusi Batman: Few months before the Comic-Con I had found a TV channel showing reruns of the Adam West Batman show. Few months before the merchandise licensing rights had just been cleared after a about 50 year wait and the first action figures starting to roll out. 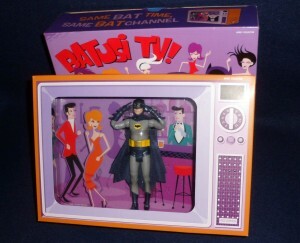 I just knew I had to get my hands on the Batusi Batman from Mattel. Too bad the line was full every time I walked by and by Sunday it was sold out. What is a man to do? Buy it on Ebay, of course. Pekka grew up in the beautiful country of Finland and eventually ended up in Salt Lake City, Utah. During his life Pekka has had lot of interests including, but not limited to comic books, Lucas Arts games, photography, action figures, fantasy and sci-fi art, Batman ’66, Blizzard Entertainment, electronic dance music, statues, travel, Games Workshop, movies, Seinfeld, Star Wars, National Parks, posters/ art prints, He-Man, Magic the Gathering etc. Pekka grew up reading comic books starting with titles like Tintin, Asterix, Willy and Wanda and Lucky Luke among others. When he received a copy of Hämähäkkimies reprinting Spectacular Spider-Man 26 and 27, he developed a life long love of Spider-Man and Marvel Comics. Seeing Sam Raimi’s Spider-Man on the big screen was a life long dream come through and his current obsession is everything related to Marvel Cinematic Universe. 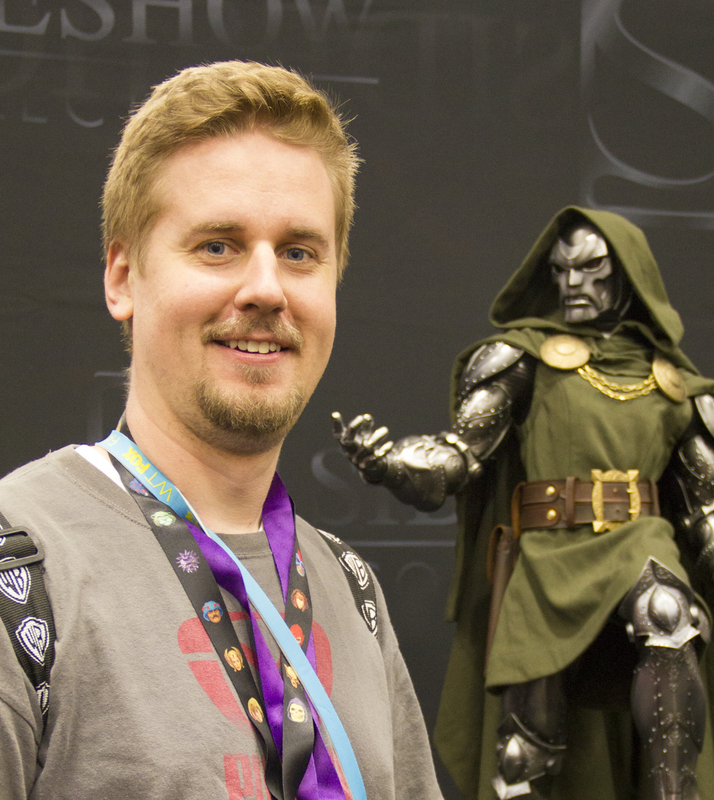 Pekka is not currently collecting anything specific (he still has MOTU figures in parents garage and too much unframed art sitting in storage), but if you are looking for a present, look on the direction of anything He-Man, Star Wars, M.A.S.K or Marvel figures and art prints.